Martin Miller and Tom Quayle are two of the most unique and inspiring guitarists of our generation. So it makes sense that people are also paying close attention to what gear they’re using. This year at the 2018 Winter NAMM Show in LA, we found these guys at the Ibanez booth demoing their new signature series guitars. This was interesting because it comes at a time when many players are shifting away from larger companies like Ibanez and Fender and moving towards smaller boutique companies like Suhr and Nashguitars. Of course this isn’t true for all players, but the struggle felt by the larger companies to keep up with the trends is real. The Ibanez AZ series looks like a response to that change in demand. The shape and features are reminiscent of Suhr guitars on the market – classic stylings, less sharp edges, and increased versatility. And in a smart move by Ibanez, they offered signature series AZs to two of the best modern players around. Personally, I love these guitars, so I purchased one of the AZ series recently. However, I’ve found a few issues with these guitars which I will talk about in an upcoming video/article. I still love the guitars, but there’s a few things I’d like to mention about the factory setups. 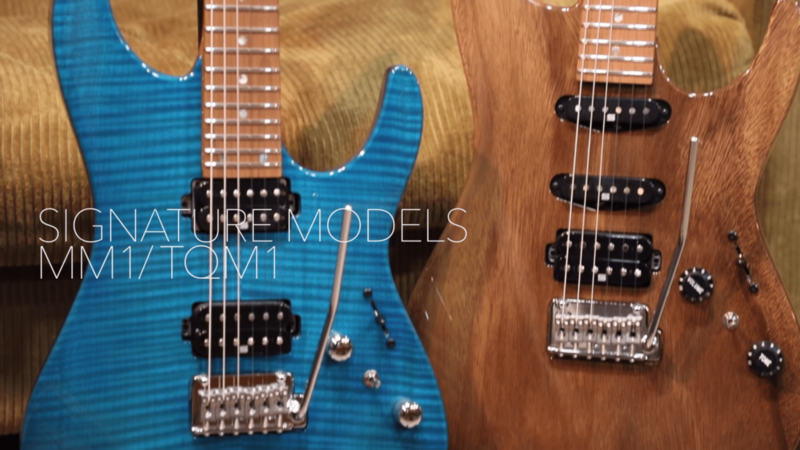 Since announcing the new signature guitars, Martin and Tom have released several performance videos featuring the new axes. Here is their most recent – a cover of Pat Metheny’s song Travels recorded live in a studio. Here’s another video where Martin and Tom go into more detail about their signature AZs.